I have amazing potential. I can make good choices. I’m never alone. I can do hard things. I’m beautiful inside and out. I’m of great worth. He has a plan for me. 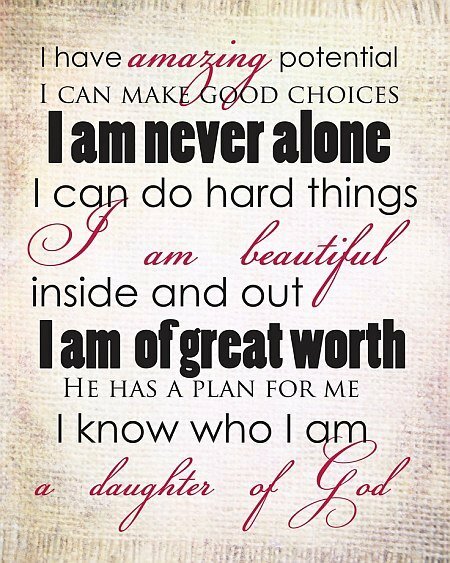 I know who I’m- a daughter of God.